Here are the ultimate insider tips to help make the most of your visit. Members, you can get right to the fun, too. Just bring your valid membership card and a photo ID and head straight into the lobby. You may also buy discounted tickets for as many guests as are covered by your membership in person at Member Services in the main lobby. Thinking about becoming a member, or is it time to renew? Save time by joining or renewing online before you visit, then just bring your confirmation email and a photo ID with you to check in at Member Services. The middle of the day is our busiest time. If you want plenty of face time with Myrtle the green sea turtle, plan to arrive when we open at 9 a.m. or later in the afternoon after 3 p.m. Be sure to check the website for any last-minute changes to our schedule. Taking public transportation is the blue thing to do! 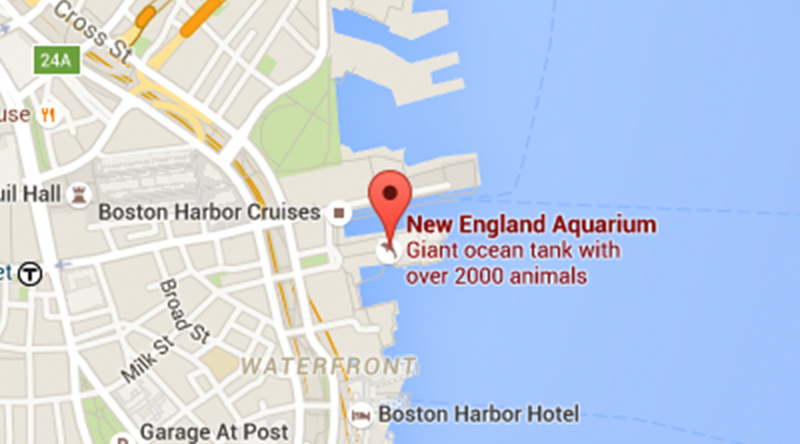 The Aquarium stop on the MBTA’s Blue Line is just a few steps from our Front Plaza. If you’re driving, check out nearby parking options—prices vary. Here’s some more information about accessibility at the Aquarium. Perch on top of the four-story, 200,000-gallon Giant Ocean Tank to feed the animals. 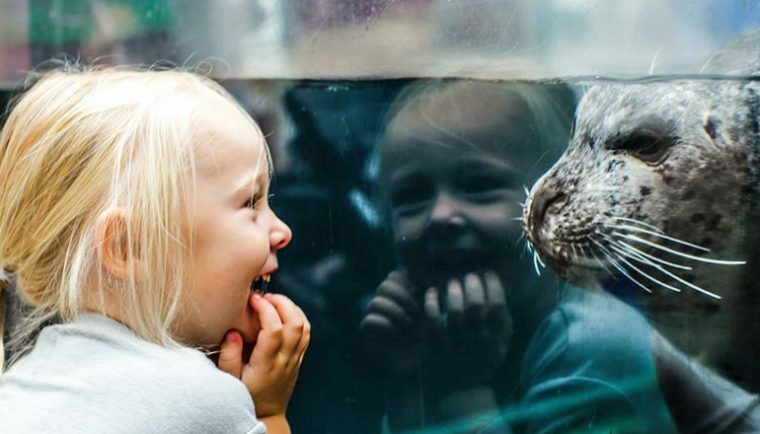 Touch a seal. Go behind the scenes of your favorite exhibits. 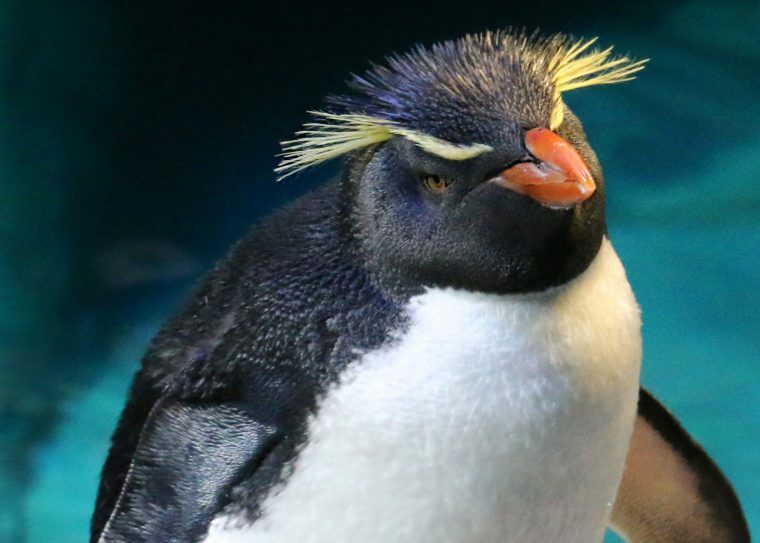 The New England Aquarium’s immersive Animal Encounter programs take your visit to an entirely new level. Members get discounts! Follow the incredible journey of a spry young green sea turtle as it encounters astonishing ocean creatures on the adventure of a lifetime in our new film Turtle Odyssey. See the science at work behind that fearsome toothy grin and discover the importance of this spectacular species in Great White Shark. And Oceans: Our Blue Planet reveals dramatic events and intimate lives of the ocean’s most extraordinary creatures – from the ice-crusted Arctic to the crystalline tropics. Take plenty of pictures and share them with us on Facebook, Twitter, Tumblr, Instagram, and Pinterest. However, tripods and stands are forbidden as they can obstruct the exhibit paths. Flash photography and flashlights are also restricted in certain areas as they can distress some animals. For items you don’t want to carry, lockers are available to the left of the glass doors leading into the Penguin Exhibit. A large locker is $6 for a full day rental, and a smaller locker is $4. Complimentary storage for large pieces that will not fit in the lockers is also available; please ask at the main Information Desk. There is no coat check. If you have lost or found an item, check with the staff at the Information Desk in the lobby. Picnic tables are available on the Aquarium Plaza, and, weather permitting, you can sit at the tables in the Harbor View Café on a space-available basis. Please note these policies when visiting the Aquarium. Bag size: Any bag larger than 12 inches long, 12 inches wide, or 12 inches tall will not be permitted, with the exception of diaper bags and carriers for medical supplies. Bags, strollers, backpacks, and packages are subject to inspection. Firearms: Firearms are not allowed on Aquarium property, with the exception of law enforcement and on-duty security personnel. Poke through our FAQs for answers to common questions. After you visit, don’t be strangers! 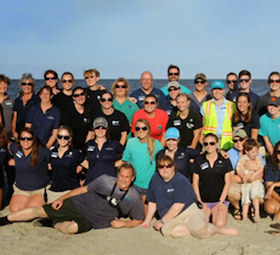 When you get home or even from your phone, there are plenty of ways that you can connect with the Aquarium online. 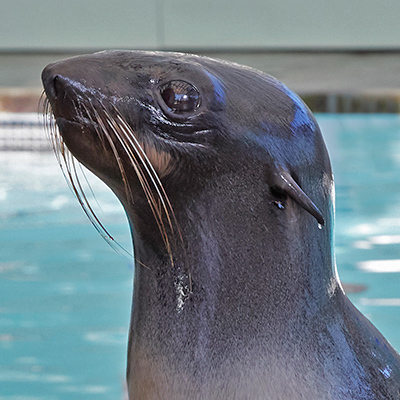 Follow our blogs for more about the Giant Ocean Tank, marine mammals, other exhibits throughout the Aquarium, and more.